We all want our websites to be a place people go and feel safe from the threats of viruses or hackers. Google Chrome is aiming to make all websites more secure but by doing this it may cause many sites to be perceived as non secure, and therefore a place where potential clients or customers may not feel safe browsing. If you open a page in Google Chrome you may notice on the left of the web address (URL) there is the word ‘secure’ or an information icon . if it is the information icon and you click it on it will show you that the site in non secure. The secure sites use an SSL and the non secure websites do not. Google Chrome is moving towards more publicly, not just with the , presenting websites that are not encrypted via an SSL Certificate as Non Secure and this has the potential to warn off potential customers or clients from safe sites. Google Chrome is the most popular web browser in use in the world. According to wikipedia, over 50% of people use this web browser world wide and the remainder of people use a mix of web browsers, making Google Chrome the number 1 browser. These are world wide statistics but going off the data they have gathered this percentage would be much higher if we were just looking at people using the web in Australia. Therefore the majority of people are viewing webpages using Google Chrome so this information is relevant to all websites who do not have SSL which is the majority of the web. SSL stands for Secure Sockets Layer. It is an encryption technology typically for E Commerce and Banking websites, wherever sensitive data is processed by the user and required to be protected via the website. So an SSL keeps the details and information you enter into a website safe from hackers. SSL aims primarily to provide privacy and data integrity between two communicating computer applications. In the past not every website needed SSL as a page without sensitive data did not need to be secure and no message was displayed. Currently google Chrome is showing an icon that when clicked on displays information about the site including that it is not secure. For the time being, most people are unaware anything has changed and that the site is not secure and therefore it is unlikely to be effecting the traffic to webpages, but this could change. Google will eventually tell people via a highlighted warning that the site they are visiting is not secure and this has the potential to deter people from visiting webpages. At this stage it looks like this could occur for websites that collect data via forms and the like but this will also be the start of things to come. When an SSL is purchased and installed Google will present it with the secure sign with the locked padlock and no highlighted warning. Google is aiming to make the web more secure, so even if your website does not collect and process sensitive data and thus no traditional need for an SSL, on Google Chrome it will still be presented with the Not Secure warning message. This may cause potential customers or clients to be put off as the site does not look trustworthy. Don’t take my word for it, you can read more about this from Google. To solve this problem we recommend installing an SSL to present your website in the best possible light, as a safe and secure place for people to freely browse without the fear of potential cyber attacks. Once these changes become more mainstream we believe Google will start penalising non secure websites in there search rankings (if they are not already), making this one of the SEO factors that could penalise the ranking of your site. Therefore installing an SSL could improve your search engine rankings, especially if your competitors are not doing it. Get your website encrypted with an SSL! This means that your website will now have a green padlock presented via the browser and your website will change from http://www. to https://www. 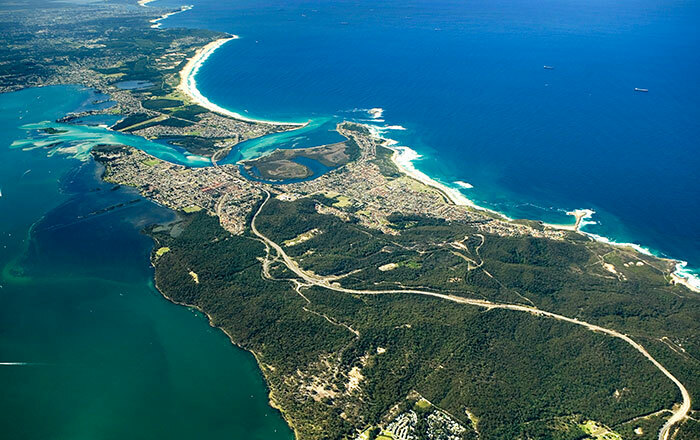 psyborg® has been designing websites for Lake Macquarie and Newcastle Clients for over 10 years. We go beyond just the basic design of a website and really tap into business culture and branding to help our clients success in business. We work closely with business owners and employees to come up with results that everyone is happy with, just like what we created for Lake Macquarie Dental Practice. From HTML, CSS to WordPress, we have it covered. We design and produce websites to cater for the needs of a diverse range of businesses. Evan Graham is another Lake Macquarie brand and website we helped create. HTML stands for Hypertext Markup Language, this is the most widely used language on the Web to develop web pages. HTML is what we use to achieve the websites structure & layout, font, colour & graphic elements on the World Wide Web. Have a look at how these elements are used on Best Bin Hire’s website. CSS stands for Cascading Style Sheets. It is a style sheet language that is used for the presentation of a document. It is most often used to set the visual style of a webpage styling the HTML elements, it is what we use in to create unique and eye-catching websites. Check out the work we did on ScooterHub. WordPress is an open source content management system. It is the behind the scenes, the backend software we use to create websites. I use WordPress for most of the sites I create. I find WordPress to be the most convenient and straight forward content management system. This is important to me as once I create a new website businesses are able to continue to edit the sites content using WordPress. So they are able to update content, add content and edit content. I find that clients find WordPress fairly easy to navigate and if they have a question then I am always available to help and there are many answers easily found online as WordPress is the platform of choice Content Management Systems and therefore there is plenty of help available. I also supply my clients with training when the website is completed and I provide video tutorials & help guides in the clients’ WordPress dashboard. Check out Rafferty’s Resort website created at psyborg® using WordPress. 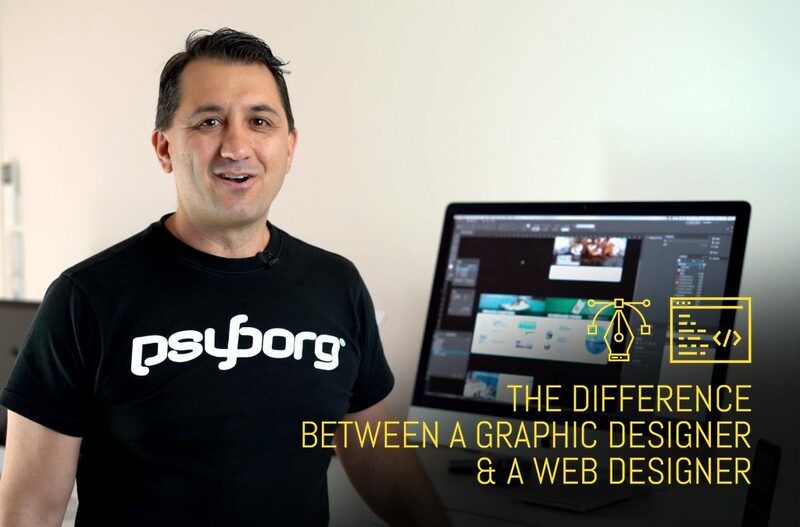 At psyborg® we not only understand the technical side of web design but also the importance behind it. Many people choose a business based on first impressions, and more often than not these first impressions come from visiting a website. Potential clients or customers may choose to, or choose not to use a business based on the information and presentation found on a website. This is why a well designed, user friendly website is integral to businesses. Check out what we did for another Lake Macquarie business The Finance Shed. 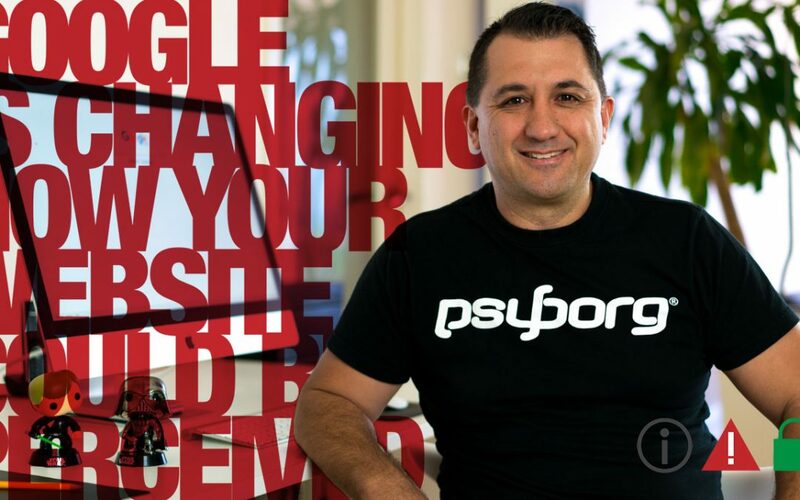 At psyborg® we believe a strong brand can have a huge impact on the success of a business. We have branding workshops to help with this. When designing websites we use our graphic design expertise along with a strong focus on the business brand to create a web page that will have a long lasting impression. When branding it is important to be consistent, you should maintain a certain style and look and at psyborg® we can do this. Whether you already have logo’s and signage that we need to incorporate into a new website or use to update an exisiting site we can do this. We can also collaborate with you to build a brand from scratch or update an existing brand that is a bit tired. Social marketing, Content Marketing and SEO are extremely important tools that many businesses don’t know about, we do and we can integrate these systems into your website. These are the new keystones of modern marketing. In this day in age if you are not on some kind of social media you almost seem alien to the majority. Social media has become a very strong tool for businesses to use to grab the attention of more clients and customers. We can help link and create content for you to get you started with social marketing. Read more about my take on social marketing here. Content marketing refers to a type of marketing that involves the creation and sharing of online material like videos, blogs, and social media posts. It is not about explicitly promoting a brand but is intended to stimulate interest in its products or services via authentic education and communication of your brand, product and service. It is a great way to get your name out there, get people talking and boost your SEO. SEO stands for search engine optimisation, this is the process of affecting the visibility of a website or a web page in a web search engine’s unpaid results. So in google if you want to be on the first page search result, SEO is how you get there. We host and manage on all of the sites we build on our dedicated server. This is beneficial for speed, localised SEO, security and ease of software updates. We are always out to create the best website for your business and always keen to take on a new challenge. Any questions please contact us. We do not just do websites. 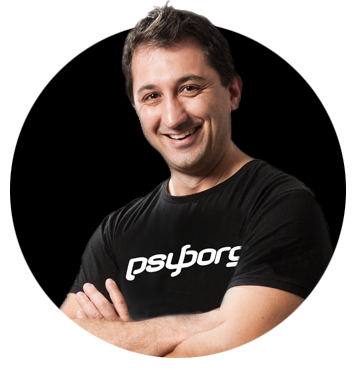 psyborg® is a branding, graphic design, web design and interactive media studio focused on creative and useable communication. Whether you want to create a brochure, add some signage to a vehicle or do an entire brand overhaul we can help. With Google’s latest update to it’s search algorithm it’s getting clearer that becoming an expert in your industry is what it takes to rank your website higher in search engine results. We recently touched on this issue with our guide to SEO and Content Marketing and thought we would elaborate further by providing 10 practical blog article ideas to get you thinking in the right direction as a lot of my clients are not sure where to start when it comes to writing blog articles. If you are passionate about your product or service it should not be too difficult to find things to write about, and if you do start to take control of your blog or news section you will begin to understand and control the SEO of your website. Naturally, if you are blogging about your business you will be building fresh content that will add keyword rich text to your posts becoming indexed by Search Engines. Here are my 10 practical blog article ideas to get you started. Working on a new project? Want your clients to see what a great job you are doing while expanding your SEO? Why not blog about it. It is probably one of the simplest articles you could write as the project is fresh in your mind so not a lot of extra time and thought will need to go into the article. If your website is on WordPress you can even use the Mobile App to write the article and add images directly to your camera on the go. You may be a florist working on a new flower bouquet design, a new blog article is a perfect way to add some new photos of your work to your site, show off some new techniques you’ve learnt and add a few extra key words that will help your website get viewed by more potential clients. It wouldn’t need to be long, it wouldn’t need to go into too much detail and it could have the potential to help your site and clientele grow. Don’t forget to forward the article on to the client who’s project it is to make them see their job is important to you and build those personal relations, and who knows, they may even share it! Great, another fantastic client has come to you and wants to use your expertise. Why not blog about their decision to choose you to do their work, again expanding on your site and portraying your skills. You may be a builder and a client has chosen your business to build their new dream home or renovate their existing home. This new client may live at the top of a hill with a view overlooking the hills or ocean, why not publish an article about them? They may have just bought a 100 year old house in a quiet street, why not blog about it? They may be using a unique design you’ve never seen before, lets blog about it! Take some snap shots of your work or plans (client permission needed) and get it online to show your talent and craftsmanship while adding keywords and increasing the SEO of your site. If it’s a new home in a new estate add a link to the sales office and perhaps a link to the architect who designed the home who you have built a good relationship with and who always recommends your handy work. This will not only optimise your key word search but may also get you some new clients. You could also ask those involved to link back to your site or article. As a professional in your field you try and keep up to date with the latest trends. If something grabs your attention that is new and exciting to you, why not post an article about it? Perhaps you own a café and you learn of a new kind of coffee technique on offer. Why no blog about it and show how you are bringing the new coffee to your beautiful cafe. You are so excited as you know your customers will LOVE it and cant wait to share this with them! Don’t forget to share the post on Instagram, Facebook, Twitter and LinkedIn so your customers have the chance to get in and receive the first weeks ‘10% off’! While you were searching about a topic related to your business you found an interesting YouTube Video that you’d like to share with your readers? Why not write a blog about it? Say you own a Yoga studio and while searching YouTube you came across a stressed single mother who has decided to video and upload her 30 day Yoga challenge. She has done a 3 minute video on how this 30 day challenge has transformed her body and mind, at the start she is stressed and tired, by the end she is happy and energised. You have chosen to write a blog about stress and the benefits of Yoga and as part of the blog and you share this woman’s transformation as you know clients may be able to relate to her circumstances. Obviously you’ll want to share it, so it might reach the right person and don’t forget to use some fantastic key words, someone looking for methods to relieve stress may come across your article and be using your studio the following week! Your business would not be what it is today without your devoted staff! Posting about a staff member is not only a great way of letting clients know how great your staff are, but also a great way of letting your staff know you appreciate them and the experiences they bring to your business. Imagine you are a real estate agent who buys and sells homes and also looks after rentals. One of your rental managers has just been on their honeymoon and was very excited to tell you and the other staff about their experiences. Why not blog about their time away and how they have come home refreshed, excited, happy and in love and whatever else! Add some photos they have shared and a few snap shots of the wedding day too. Does this relate to your business? I believe it does. I think that the clients this property manager look after would like to know she is back at work and had a good time away, so don’t forget to email them a link to the blog! It also helps build client relationships, shows what a close team you are and might be something that reaches an audience who isn’t interested in some of the other articles you posted. Clients that have read the article may then recommend your services to other potential clients “they are so nice and friendly and always happy to help… you should use them to sell your home…” All the while expanding your SEO. You got a new client who has shocked or surprised you with their request. You’ve never done something like this before. Why not write about it? Pretend you are a baker who not only makes but decorates cakes. You were surprised to be asked to design a cake for a 21st birthday and they have asked you to make a cake in the shape of a Panda Bear! Turns out this 21 year old loves Pandas and the parents want to surprise her. How could you say no, this masterpiece is going to cost them a bit, take up a lot of time but the end product is unique and beautiful. You must blog about it to share the experience and some photos or a time-laps video of your latest masterpiece. Don’t forget to Instagram some of the pictures and post a time lapse video to YouTube linking back to your new article. Have you come across an article that you strongly agree or disagree with? Why not write about it? Things you feel passionate about are usually the easiest articles to write, as the content simply flows onto the page. You are an accountant and come across an article titled ‘How to receive more tax back’, it looks interesting so you have a read. The article certainly has many ways to claim more money back but more than half of them are illegal. You must warn clients or future clients not to believe everything they read and explain some of these illegal methods that are out there, explaining that if they were audited they would be slapped with a hefty fine or even jail time. Share the opinion piece to try and stop this from happening to any of your tax clients, make sure to add a link to a similar article you or another expert has written about legal ways to get the most back at tax time. It shows your expertise in the field while building fresh content indexible by search engines. It is always nice to look at how your business has evolved into what it is today. Why not do a blog article on how far you have come. Say you are a Lawyer, who started out doing jobs from a home office and over the past 5 years your business has grown into a full functioning law firm. Each year more clients come to you, more staff are employed and more cases are won. Why not blog about your achievements. Include some statistics, a few photos, talk about some of the biggest cases you have won, some of the clients who you have built close bonds with, some of the big changes in legislation that you remember! Anything really. You may do it for the companies 1 year, 5 year or 10 year anniversary! It is good to remember your achievements and show clients how determined you have been to get to where you are today. Email a link to new and past clients if you would like to share it and once again, you are building fresh content and optimising your search engine results and all this while celebrating your achievements and goals! You were struggling to get something to work in your business and after a long process you finally got success! Why not blog about it. You might own a restaurant and are constantly losing business because the phone is often engaged as most of your clients call in orders. You decide something has to happen to fix this problem and you end up implementing an online order system where people can even pay for the goods online before coming in. Your productivity goes up and wait time goes down as employees no longer need to spend as much time on the phone trying to get orders. You simply have to share this new system and it’s benefits with customers and forward the blog to everyone, you also get signs, fliers and business cards made up to get this message out. An article about this not only directly helps your business but it adds to the websites SEO because more blog articles means more fresh content and keywords have been added! 10. Something that makes your Clients Happy! Did you do something that helps your clients? Did you add something new to the office and want to reach out to tell your clients? Why not do this through your blog? Imagine you own a dental surgery and you have noticed over the years how hard it is for some parents to get to the dentist child-free. When parents do come they are usually in a hurry to get back to the babysitter or when the child does tag along they are worrying about what the child is doing. You’ve always had a few toys in the reception area but know you need something different. Construction has just finished on a new dental room that is much bigger than the regular rooms and contains a ‘play area’ for children to use while they accompany clients to the dentist! What a perfect way to get out a blog article that has some pictures of the refreshed and re-furnished ‘kids room’. This is yet another ‘MUST SHARE’ article as you know many of your clients will utilise this room and again, it will add to your SEO. As you can see a blog article doesn’t always need to be a formal piece of writing. There are so many simple and quick article types that can be added to any website which still have the effect of building fresh content, adding keywords and therefore optimising your website for search engine results! When you think about it, to rank higher in search engines you are simply competing against other websites in the same keyword category than you, hence the more expert content that you create about your business compared to your competitors the more of a chance you have in out ranking them and if you’re not doing it somebody else is. So why not get blogging? …and if you need help in setting up a blog on your current website or would like to discuss a content strategy be sure to contact us for more information. When setting up your new email account in your preferred email software you will require an outgoing SMTP mail address. To make it easier we have listed the most common Australian internet service providers SMTP email addresses below. And in case your wondering, SMTP stands for Simple Mail Transfer Protocol which is an Internet standard for electronic mail (e-mail) transmission. The practice of ‘Content Marketing’ is fast becoming the premier tool in the SEO marketing toolbox. Content Marketing is the practice of supplying targeted, relevant and sharable content to your audience in the hope that it will be shared, liked and enquired about. It is a method of turning potential customers into leads whilst adding indexed content to your website that is best shared on social media platforms. The goal of successful content marketing strategy is to create compelling content that is sharable, original and relevant to your brand whilst being indexed on the web. Content Marketing can come in a few mediums that will ultimately be published on a page or blog post on your website and linked to from other websites. Content developed should be interesting, original, useful & newsworthy. It should not be boring and ignorable and it should never be plagiarised. Plagiarised content is easily traceable online which will quickly erode your brands credibility. When determining content, this should ultimately fit into context of an overall brand communication strategy. This will help your audience learn and understand your brand personality. The Content Marketing strategy should be agreed upon by your team so that any content created fit’s into the context of organisational goals and the brands personality. A good Content Marketing Strategy will increase your website SEO rankings. Putting it into practice will generating fresh and relevant content encouraging search engine robots to come back to re-index and rank your website. Relevant keywords should also be used in your articles as these get associated with your brand, via your URL through permalinks and meta data. Linking to these articles from various social media websites such as Facebook, Twitter and LinkedIn will also generate new links to your website adding to the link weight of your website. If you’re passionate about your brand, company, product or service, it should not be too hard to create original content within a content marketing strategy as this should come natural to you. It’s just a matter of presenting your ideas in interesting and engaging ways. It’s even better if you can express your brand and personality through the content so that it has your mark on it. For more information on Content Marketing and to see if we can help your business create a content marketing strategy, feel free to get in touch.